The 2013 Ships of the Line calendar has been available for a couple of months now, but if, like me, you don't tend to get a copy until the very end of the year, you might still enjoy a little peak at the images it holds. Fortunately the artists are often quite obliging in that regard. 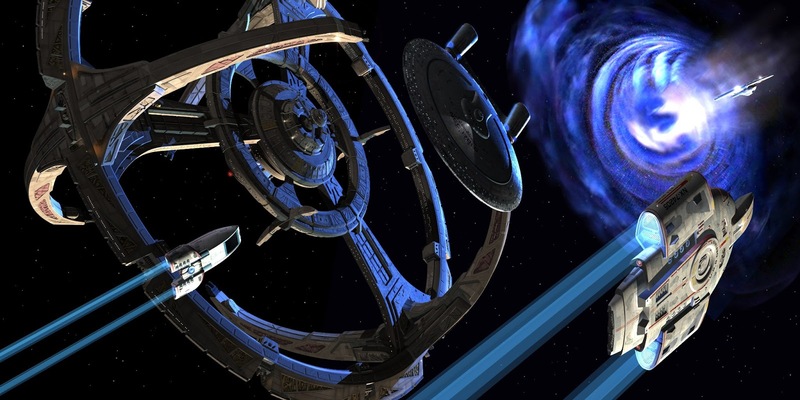 You can see other views of those new TNG models on The Light Works' website. And you can get a closer look at some of the other images in next year's calendar with some of previous coverage: Here, and here.